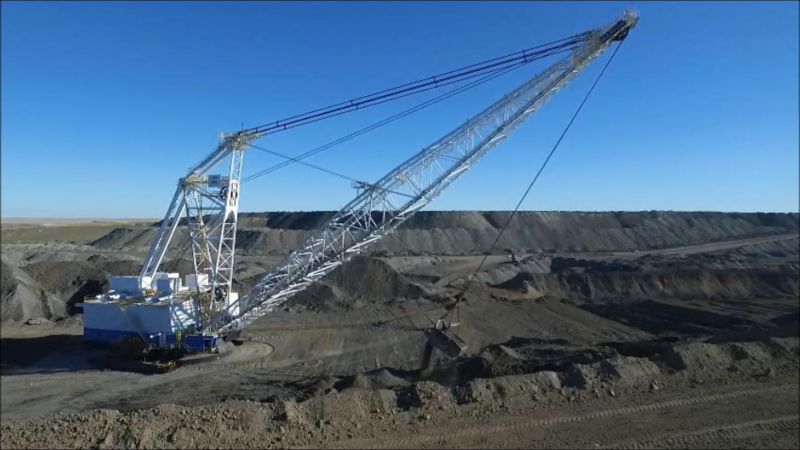 This announcement comes after Applied Fiber successfully installed the mining industry’s first synthetic fiber main pendant cables on a Marion 8200 dragline for Cloud Peak Energy. Applied Fiber designs, manufactures, and tests the completed Dragline and Shovel Pendants. The termination and rope system was specifically engineered for the demanding pendant applications. The rope was produced by Lankhorst Ropes, a WireCo WorldGroup brand, who designed and manufactured the rope to give specific performance characteristics using the latest advancement in synthetic fiber “DM20” manufactured by DSM Dyneema. The Dragline and Shovel Pendant products will be available through Applied Fiber and WireCo WorldGroup’s distribution network. See a video of these fiber pendants operating. Applied Fiber® is the leading company for terminated synthetic fiber tension systems worldwide. The company’s advanced products are utilized where performance and reliability are essential. Whether high volume OEM production or mission critical specialty applications, Applied Fiber® delivers engineered tension systems across Mining, Defense, Offshore Oil and Gas, Medical, Commercial Marine, Energy, and Industrial markets, among others. WireCo® WorldGroup’s products are recognized throughout the world and used in a wide range of market applications including oil and gas exploration, surface and underground mining, fishing, maritime, construction,and specialty lifting and suspension applications. WireCo® WorldGroup employs approximately 4,500 people and is headquartered in Kansas City, Missouri, with manufacturing plants, distribution facilities and sales offices in the U.S., Mexico, Germany, Portugal, Netherlands, Brazil, Poland, South America, Africa, Australia and Asia. DSM Dyneema is the inventor and manufacturer of Ultra High Molecular Weight Polyethylene (UHMWPE) fiber branded as Dyneema®, the world’s strongest fiber. Dyneema® offers maximum strength combined with minimum weight. Dyneema® is extremely durable and resistant to moisture, UV light and chemicals. Dyneema® DM20 combines the high performance properties of Dyneema® fibers with a unique resistance to creep.